Hi everyone! 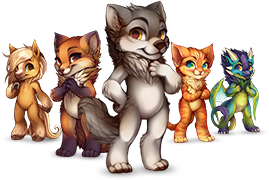 This is just a reminder about the upcoming SITE DOWNTIME, which will begin at 11:55PM FURVILLA TIME on THURSDAY, JANUARY 31st. We will be implementing the new feast changes (read here for more info), as well as making minor updates to the site. This means that the current Feast will conclude at 11:55 PM, not Midnight. Do not plan to feed past 11:55 PM on January 31st for the current Feast. You will be able to start feeding your registered villager for the month once the site comes back online. Oh! 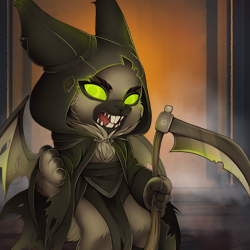 I heard that there are some bunnies bounding around all of Furvilla, looking to meet your explorers. I also hear they are carrying some sweet ingredients you may need for the upcoming Feast, so keep an eye out for them. "Can't wait to meet you." I hope your cooks are working hard for February, and your appetites are huge! "Do not plan to feed past 11:55 PM on January 31st for the current Feast." Owner-Aspen Ok, so it would be going offline like 5 minuets before the reset for me. Thank you. zaffy2005 The site is going down at 12:55 AM on the 1st for you, so logging in anytime during the early morning, day, or evening on Feb 1st would be a good plan! Owner-Aspen Would I be better off trying to log in at the reset (roughly 1am here on the East Coast)? zaffy2005 As before, the site will not be down all day, so plan to log in later in the day! Galaxywolf269 We do not! We don't expect it to be very long, it just depends on how long the coder will take to load the new code. It will not be down all day. Is this going to end up killing our login streaks again? I'm more than halfway to a paintie ticket and was nearly there the last time the site had downtime and wiped everything. Yay new feast and bunnies!!! Do you guys have any idea when the site might come back on?